This tour is surely the highlight of any visit to Killarney. 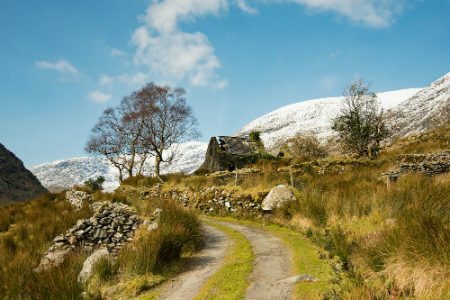 Your travels begin at Kate Kearney’s cottage, one of Ireland’s oldest pubs. 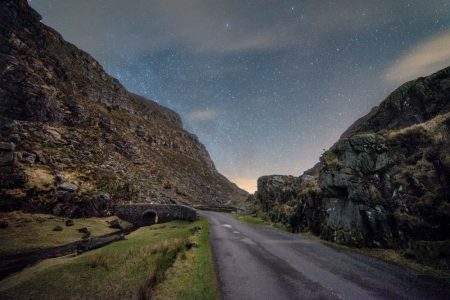 After a quick refreshment, you are brought by horse and trap through the Gap of Dunloe – an awesome glaciated valley. 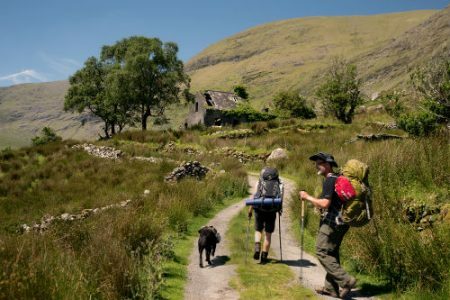 Enjoy lunch at Lord Brandon’s Cottage, the site of a hunting lodge from days of yore. 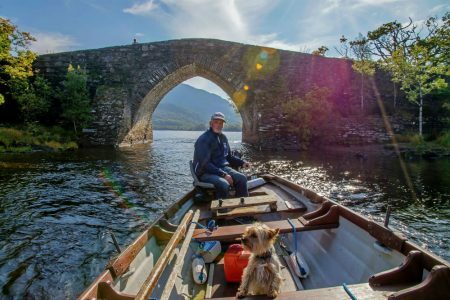 After lunch, you will be collected by traditional style open boats and brought on a mesmerising trip through the three famous Lakes of Killarney before disembarking at Ross Castle where you will be transferred by coach back to your hotel. 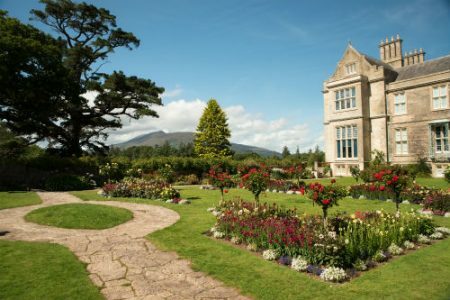 This beautiful Victorian House and Gardens lies at the heart of the Muckross Estate and is undoubtedly one of the highlights of Killarney National Park. Enjoy a guided tour of the stately house or simply amble through the extensive gardens. The visitor centre is also well worth a visit, here you can enjoy a cup of tea and creamy bun while taking in the views of the manicured gardens. 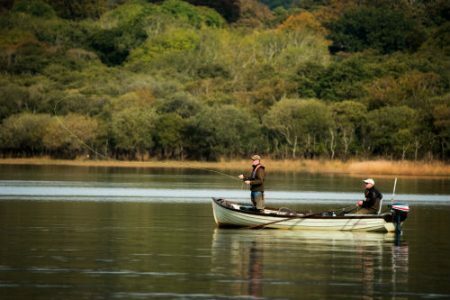 This hour-long cruise is an ideal way to experience Killarney’s largest lake – Lough Leane. 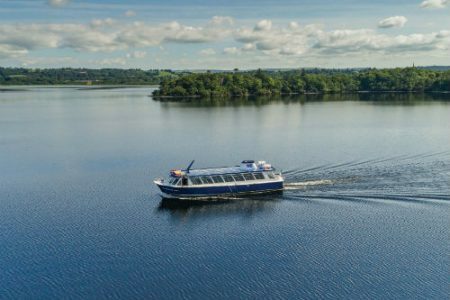 A comfortable, heated and thoroughly modern vessel departs Ross Castle and ventures out onto Lough Leane. During your cruise your experienced skipper will provide a commentary on the flora, fauna and historical heritage of the surrounding area. 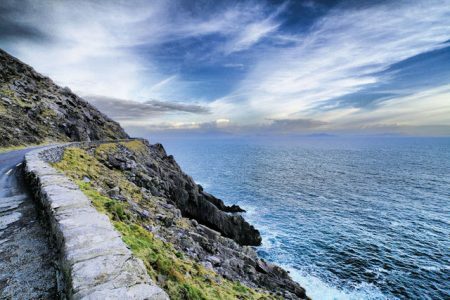 Kerry’s coastal erosion over millenniums has resulted in some of the most dramatic coastline you are likely to experience. 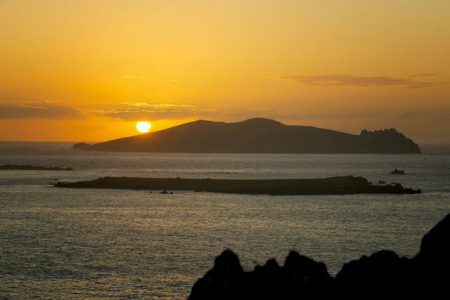 Dingle is one of the few Irish speaking areas remaining in Ireland. 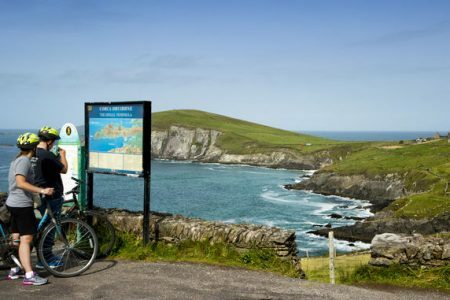 Upon reaching Dingle there will be time to explore this charming fishing village with its many local craft shops before stopping to enjoy a relaxing lunch. 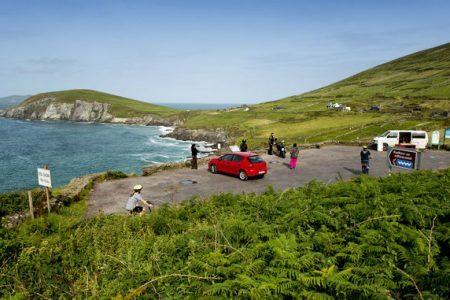 After lunch, the tour will continue on around to Slea Head, the most westerly point in Europe. 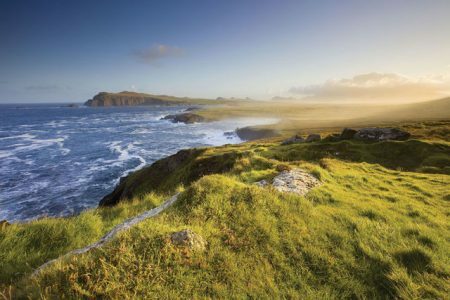 Another breath-taking section of the Wild Atlantic Way, Dingle and Slea Head is a truly memorable part of the Wild Atlantic Way. 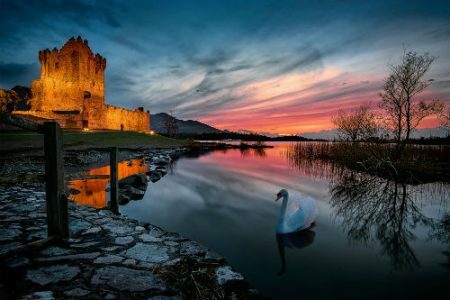 Aghadoe- overlooking the famous Lakes of Killarney are the monastery, round tower and ruins of a 12th century castle built on this townland. Ross Castle – Built in the 14th century by the O’Donoghue Clan this was the last Irish Castle to fall to Cromwellian forces. Guided tours are available. 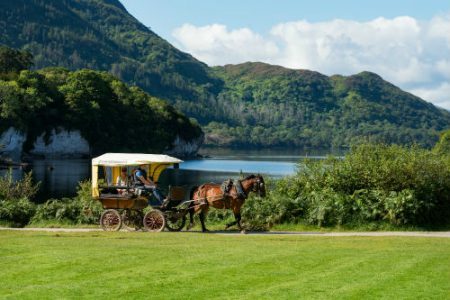 Muckross Traditional Farms – Here visitors get to step back in time and visit three traditional working farms of varying size. Each farm is complete with livestock, poultry and old-style machinery. Visitors can also take the opportunity to view a labourer’s cottage, a carpenter’s workshop, a harness maker and a blacksmith’s forge. The houses are furnished in the traditional manner, and include such items as the dresser, settlebed and mealbin. 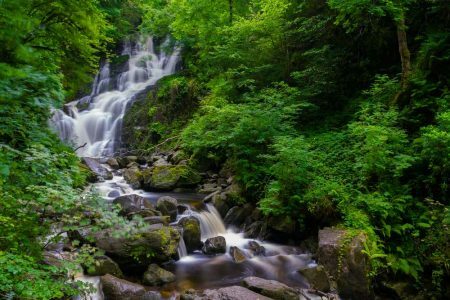 Torc Waterfall – This is a sight to behold as the water cascades over the 60ft rock face, it is even more spectacular after heavy rains when the water is gushing down to the falls from the mountains. You can ascend the flight of steps to the top of the falls for a stunning view of Killarney valley and lakes. 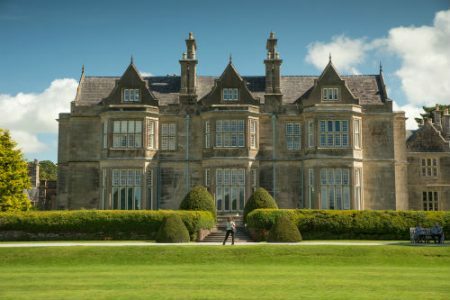 Killarney Golf & Fishing Club is one of the oldest, well established and internationally recognised Clubs in Ireland. 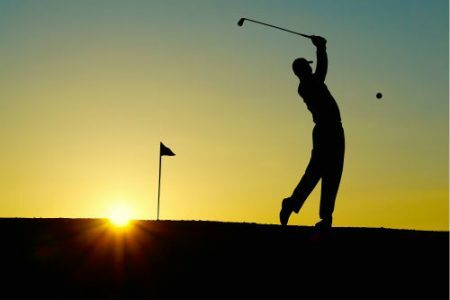 It has a membership of over 1,700 members from all over the world and the Club’s location is one of the most enviable in the world. 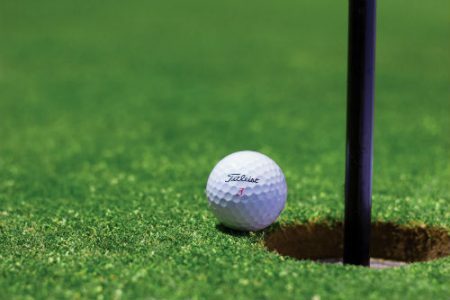 The club boasts two 18-hole golf courses which offers variety for those conference groups that want to incorporate golf into their social activities. 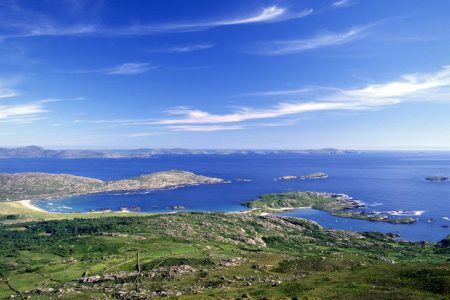 Dooks is a beautiful links course in Co. Kerry set amid the blue waters of Dingle Bay and surrounded by Slieve Mish, the Dingle Mountains and McGillycuddy Reeks. A truly magical location for a stunning golf course. Golf at Waterville is a mystical experience – the beauty of classic links land surrounded by the sea, yet forever challenged and shaped by the elements. More than 100 years old. 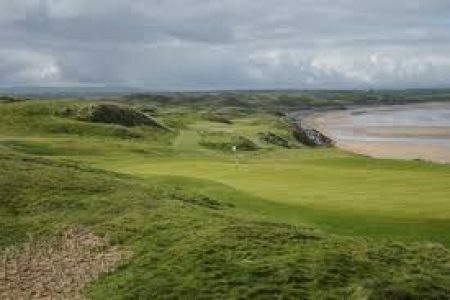 Waterville is rated among the top five courses in Ireland and the top 20 links courses in the world.